Staff Council worked with other governance groups including Academic Senate and Student Government to eliminate the 3-year waiting period for implementation proposed in the revised version of C 16.0 Tobacco-Restricted University Policy. 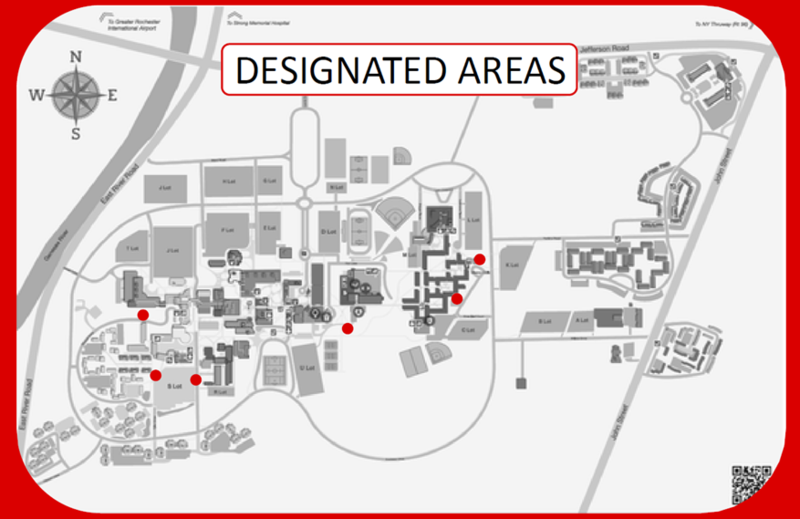 Designated smoking areas were constructed at six locations and as of August 17, 2015, RIT was a Tobacco-Restricted University. As a result of Staff Council advocacy and continued dialogue with Human Resources, employees may now use vacation or personal days for observation of a religious holiday. Staff no longer need to use a vacation or personal day if the county in which they live has declared a State of Emergency. The previous policy was only applicable to staff who resided in Monroe County. Staff Council was instrumental in keeping this cost containment measure on the university’s agenda. This popular program continues to receive numerous suggestions which are reviewed on a monthly basis. Staff Council played a significant role in providing staff perspective to the president regarding proposed cost containment measures. Staff Council responded to concerns about the lack of a ‘career ladder’ or clear career path for staff assistants throughout the university. Collaboration with Human Resources resulted in several professional development workshops and a competencies matrix for staff assistants seeking to broaden their skills. When paid parking was implemented at RIT, Staff Council successfully advocated for the cost of parking permits to be based on salary tiers, rather than a flat rate for all staff. The task force was established and drafted a recommendation for proposed changes to Policy E 27: Performance Appraisals. The proposed changes will be introduced at the September 16 University Council meeting, after which they will be presented to Academic Senate and Student Government. Final changes to the policy will be submitted for a vote at University Council later in fall semester. Discussions continue with Global Risk Management regarding safety of campus during winter weather events. GRM pledged to consider delayed opening when necessary to get walkways and parking lots cleared.